Some things are worth waiting for and this past Market Day was one of them! Sunshine! Even with a forecast that promised heat and humidity, we were reveling in the first truly SUNNY Friday this market season! 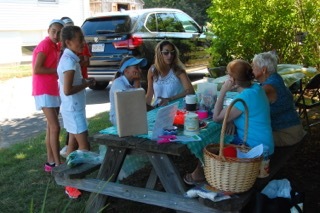 The actual day was graced with breezes and shady corners, cool lemonade and cheerful participants…. 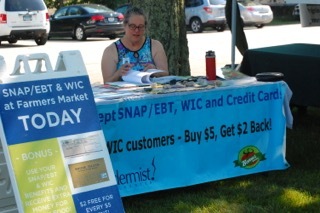 Our Credit/Debit and SNAP table has moved to a location directly across the “green” from the CLT Market Table. Keep your eye peeled for Julie who is there to answer any questions and enable credit and debit transactions at all our vendor tables. SNAP cards are WELCOME. To compliment and round out summer meals, our shoppers have come to rely on Meadowbrook Inn‘s wide assortment of freshly prepared foods. From tzatziki (You don’t have to be able to spell it to enjoy its deliciousness…) to guacamole to empanadas to a variety of salsas to eggplant parmesan….you’ll have an international taste tour! The list of offerings is long and varied. Stop by to check out each week’s choices. Toward the back of the market, under the trees, every market day you will find Children’s Art Activities – a special one coordinated by volunteers from the Church of the Holy Spirit. 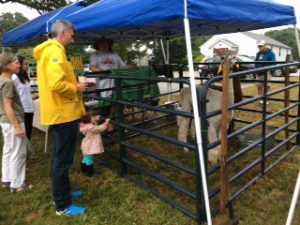 Just a couple steps over, there are the alpacas, Gandolf and Carl, working their magic…and who can resist them? Certainly not this little sweetie who seems to be making a new friend. 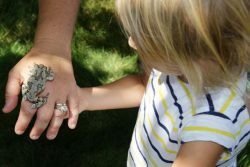 Our special guests this week included the Dennison Pequotsepos Nature Center with close up views of some very tiny animal neighbors…. Heading around the market perimeter were representatives from ReStore, a local affiliate of Habitat for Humanity and purveyor of good quality used furniture, appliances, tools and more. Charlestown residents were invited to learn more about the incentives for solar arrays for their homes. 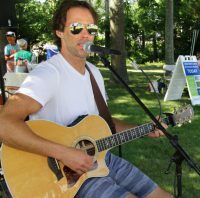 We were lucky on Friday….From the beginning of the market right until the end we ALL enjoyed Peter Weremay‘s music! 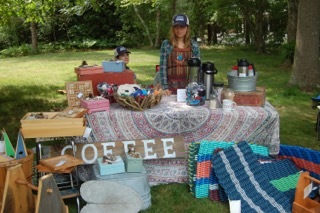 In addition to ALL this, we welcomed several NEW vendors! Stop by this coming week to meet them….and check next week’s posting for formal introductions! We’ll have DEM Fish and Wildlife with us so stop by with your questions and check out what they have to offer. 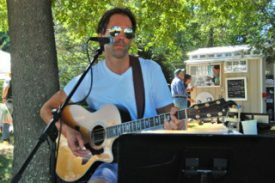 Music on Friday will be provided by Tom Burgess, another one of our CLT Market favorites. Usually the main focus of these weekly posts is FOOD – Delicious, fresh, and of consistent quality – available each week to our community of shoppers. 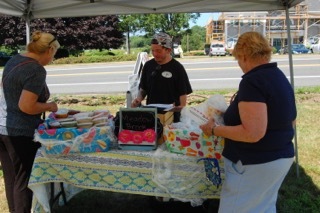 As the summer unfolds new items ripen and show up at our market….This week we welcomed the first of our CORN! Thank you, Burnside Acres! For the next couple weeks this blog will pay special attention to some of our OTHER long time vendors and their offerings. Together, all their products combine to give our market its broad, local and uniquely appealing flavor. We strive to be “more than the sum of our parts”. 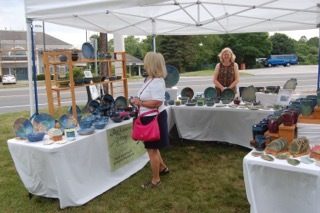 As you enter the market, there on the corner of the parking lot and Old Post Road, is Kelley Kreations Pottery. Shimmering glazes and whimsical creatures (tiny frogs, a rhino here and there…) give their pottery extra personality. Browse through the items from salad bowls (to hold greens from Luckyfoot Farm and Burnside Acres?) to coffee mugs… Some pieces even have beach themes worked into the clay…. 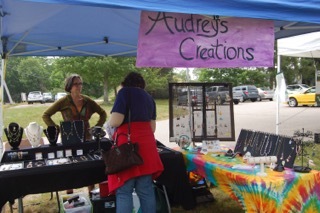 If, out of the corner of your eye, you catch a glint or a sparkle, step next door, along the parking lot side, to find Audrey’s Creations with finely crafted jewelry – earrings, necklaces, rings….some items incorporating bits of whimsy from the beach. 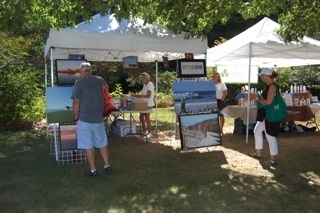 Clear across the “green” of our market is Sand Hill Cove Photography. What better way to take home a lasting bit of Rhode Island’s south shore than by selecting from Don’s exquisite pictures? – A print, a notecard…The subjects range from whimsical to just plain South County Gorgeous. And then, right next door will be Diane with Pure Haven Essentials. Each item is made “in house” in Warren, RI. Each is made of the purest ingredients with all ingredients listed on the label of every product. Talk with Diane to learn more about this high quality line of cosmetics. 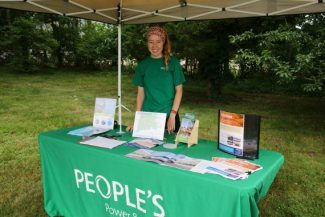 We were fortunate on Friday to have People’s Power and Light visit our market…despite the drizzle. 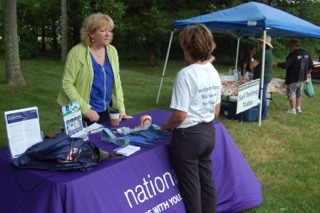 Taylor, their representative, had lots of information to share about ways to be part of a “green lifestyle”. 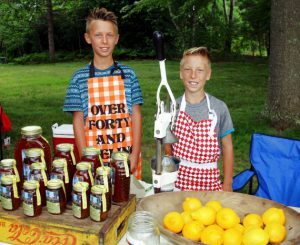 Keep in mind that Thundermist is now at our market every week. Credit cards can be used to purchase tokens at the Thundermist table, valid with each vendor….Any leftover tokens? They do NOT expire…and can be used at any of the South County Farmers’ Markets all season long. SNAP and WIC cards are also welcome and qualify for some special incentives. Visit with our Thundermist rep to see how the system works. What’s coming up this Friday, July 21st? 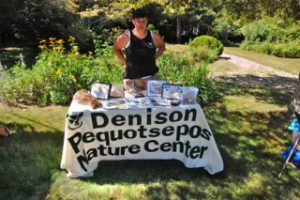 The Denison Pequotsepos Nature Center will be with us. Remember the fun they brought along last year? 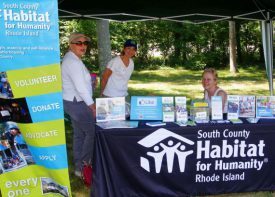 And SOLARIZE CHARLESTOWN will be on hand with information about the significant incentives and reduced rates that are available to Charlestown residents if they sign up for solar energy by September! In addition we are fortunate to have ReStore, the Habitat for Humanity resale store located near Shannock, join us for this market day. Proceeds from ReStore support the work of Habitat for Humanity while making available quality used furnishings, appliances, and tools…among other things. Drop by to chat with their rep on Friday! This week’s musician, Peter Weremay, is someone we love to welcome back each year. So come on down! 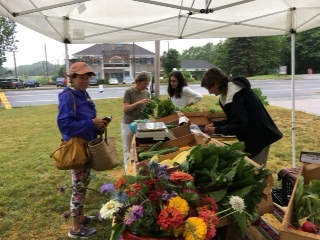 Neither Rain nor Sleet nor…..?…kept some from Market Day! 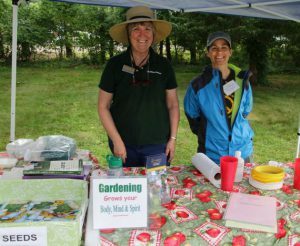 Friday, July 7, 2017 – Despite the weather this past Friday, there was a flurry of activity at the CLT Farmers’ Market site! There is a Rain Policy for our market, a somewhat informal one….On a truly rainy day we invite vendors to set up – if they wish. But we do not set up a market table or SNAP table. 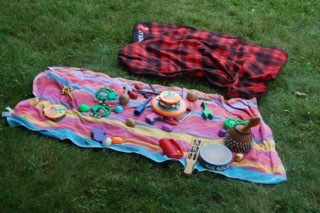 We do not have live music, and generally we do not have some of the extras found on a normal market day. Rain has been an infrequent visitor to our market, but this past Friday, with a deluge falling in some parts of South County while other areas merely experienced drizzle, our Rain Policy was tested. 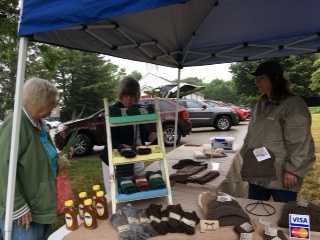 Turned out that the uncertain weather was no impediment to a few vendors – and shoppers! 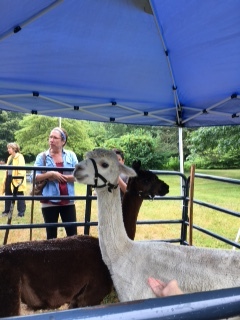 We learned that Gandolf and Carl, the Lazy K Ranch alpacas, were undaunted by the rain. 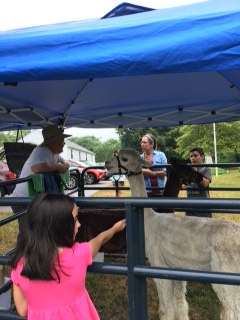 With overcast weather there was no concern about heat from the sun, so the alpacas and their caregivers moved down from their sheltered, shady area at the rear of the market onto our central “green”. People, eyeing the animals from the street, stopped by to visit..Several shoppers, especially those under 12, spent some time admiring these beautiful and calm creatures. 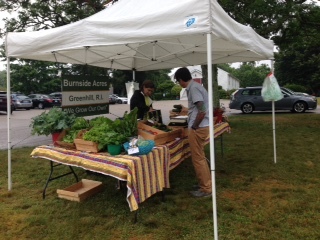 There was plenty of time to shop for fresh vegetables and flowers from Burnside Farm just a few steps away. And then back to check out the luxuriant items made from alpaca yarn (Thank you, Carl and Gandolf. )…along with Lazy K Honey! Moving down the line, people encountered Amanda from DEM. 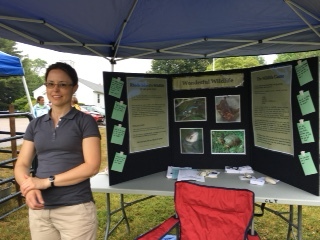 Her booth was filled with photographs, games and information about local animals. 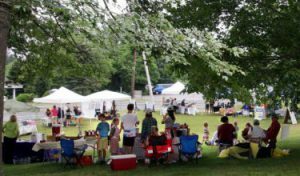 Join us this coming Friday, July 14th for….FAIR SKIES along with Joslin Hill Apiary (Bees and Honey), Save the Bay, People’s Power and Light and ALL the vendors you’ve come to know (or are hoping to meet) resplendent with the fresh food and fine goods you’ve come to expect. Music this week? Be ready for The Mighty Fee! 9:30 to 1 at 4150 Old Post Rd. SNAP benefits and incentives available. See you there and then! Friday, June 30, 2017 Sun then rain then sun again….How “New England” does it get? The skies cleared making way for a market day that had something for everyone. 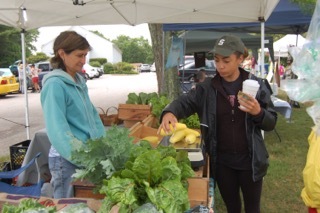 That’s the thing about the Charlestown Land Trust Farmers’ Market – The variety of offerings is wide, fresh and authentically local! And the congenial welcome that everyone receives will make you want to come back EVERY week (9:30 to 1)! 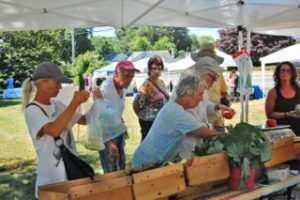 To share some thinking from a sister farmers’ market in Pawtuxet Village, buying American grown food and purchasing American made items at the CLT Farmers’ Market is one way to show your Independent Spirit! Local food reduces your carbon footprint by eliminating food’s long-distance transport and long term refrigeration before being purchased by you. 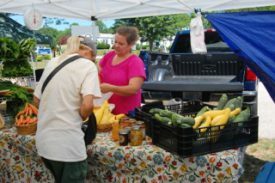 Shop at our farmers’ market where delicious, sustainably grown food is brought each week by the actual farmers who tend the crops nearby! There’s something patriotic about that. 2017….What’s NEW at the market this year? 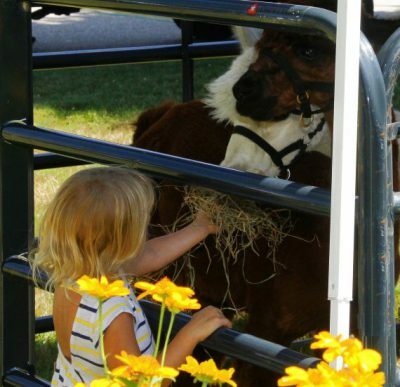 Along with the Lazy K Ranch (of Alpaca fame….Scroll down if you missed last week’s posting.) 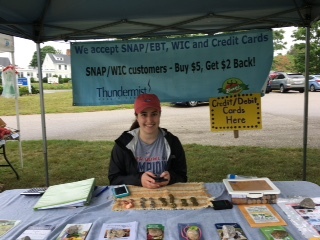 and the availability of SNAP /incentive benefits (with assistance and explanations via Thundermist’s Food Access staff) we have been joined this season by Made by Vicki. 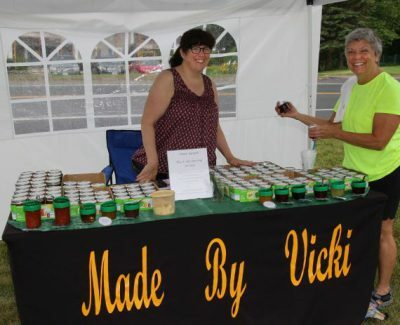 Stop by to see and sample Vicki’s jams and jellies sold ONLY at our farmers’ market….They offer a perfect compliment to the breads, vegetables, meat and shellfish found at surrounding vendor booths. 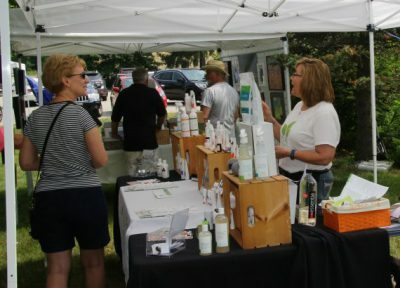 In the coming weeks we’ll be highlighting our tried and true vendors (the ones you look forward to seeing each summer) along with special visitors and….at the center of our market – the shoppers! Stay tuned. 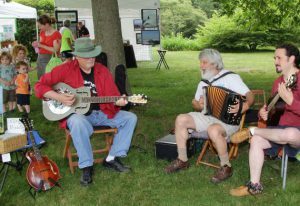 Foot tapping music by Farm Dog, a regular yearly treat for all, kept us stepping to the rhythm….or maybe just sitting on the grass and enjoying the ambiance. 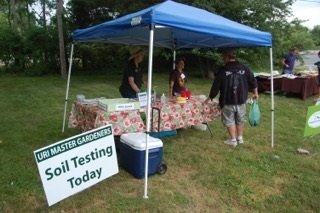 Soil testing and Master Gardening from URI along with RISE Engineering were there to help us grow healthier plants and keep our homes efficiently cooler in the summer and warmer in the winter. Free advice was offered with some mighty fine perks for those who stopped by. Coming up this Friday, July 7th? 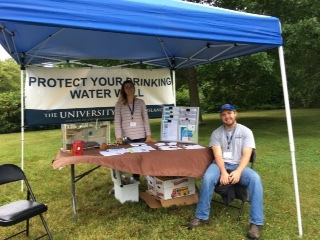 Stop by to talk with URI’s Water Quality experts….And then head over to speak with the DEM Fish and Wildlife people! Before you leave, be sure to check in with our local AFS (American Field Service) Exchange Student representative. 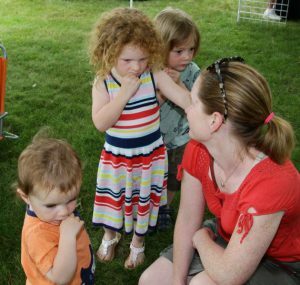 There is so much to sample at our country market and much to learn about our much loved surroundings!